The rumours that Nvidia was planning on making moves into the netbook market in 2009 were bang on the money. Rene Haas, Nvidia's VP of World Wide Sales, told the Inquirer in a recent interview: "It's really about developing a platform which attaches to the Atom." 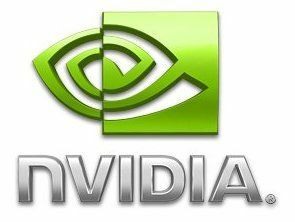 According to that report, Nvidia plans to replace legacy 3 chip design with "a two chip marriage between the Geforce 9400M and Atom." "When you take that chip and combine it with Atom, you actually have a pretty interesting platform. You have, essentially, a very full function PC", said the Nvidia man. Most excitingly, Haas went on to claim that, when combined with the Atom, the Geforce 9400M will make applications like HD video or full streaming of videos possible on a netbook. "The lightness, the form factor, that's all kind of cool, but people are looking to see what they can do to enhance the user experience", said Haas. Nvidia sees the ideal customer for souped-up netbooks as one who "wants to download HD video from iTunes, somebody who may be streaming video, someone who may be a light Photoshop user, someone who may be doing transcoded videos".